April 4th is National School Librarian Day. It’s a day all Americans, especially those with children, should actively honor all school librarians. School librarians spend their days keeping the library organized, aiding children find the resources they want and need to keep learning. Dedicated to their profession and to creating an environment where all visitors can learn in every day of the year. All of this hard work too often goes un-noticed, even unappreciated. Young minds needs to be nurtured. Gently challenging those minds with good quality, by offering up interesting and new reading material and reference materials is what school librarians do best. 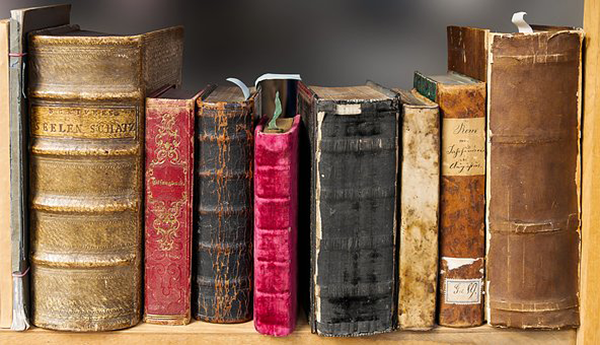 The U.S. Government Publishing Office (GPO) has a deep connection to the libraries across America. The best example: The Federal Depository Library Program (FDLP), established by Congress in 1813 to ensure Americans have access to the Government’s information. Many of these Federal depository libraries have been working with GPO for more than 120 years to keep Americans informed on the news of their government. GPO’s Government Bookstore offers many publications that can benefit young minds. Where is Bear? is a fun, interactive way to encourage 2-year-olds in their development and to help parents monitor their children’s attainment of important skills. It’s a win-win for early development! Meet Tiger, Bear, and their forest friends, Bird, Frog, Fox, and Turtle! In this terrifically unique and interactive tale, your 2-year-old child will help Tiger find Bear. Each step in your child’s quest to find Bear highlights important milestones in your child’s growth and development. Look for the leaf at the bottom of the page for these Milestone Moments. In this story, an amazing kangaroo named Joey shows all of the amazing things he can do now that he is 3 years old. These amazing things are called developmental milestones. First steps, first words, and using the potty for the first time are all developmental milestones. Other developmental milestones, like the ones in this book, may not be as easy to see, but they are just as important for your child’s development. National Library Week, reminds all Americans that today’s libraries are no longer just about books, but also about what they do to transform our lives and stir our imaginations. Increasingly, libraries are creative centers where people can share a hobby, use a 3D printer, edit a video, or use software to record their own music. Libraries offer access to the tools, technology and training essential to the economic and cultural lives of their communities. Libraries don’t discriminate; they are places for all Americans to share. In many communities, libraries are the only resource for families, and especially the youth of America, to experience the wonders of learning and creating. The U.S. Government Publishing Office has a deep connection to the libraries across America. The best example: The Federal Depository Library Program, established by Congress in 1813 to ensure Americans have access to the Government’s information. Many of these Federal depository libraries have been working with GPO for more than 120 years to keep Americans informed on the news of their Government. With a dedicated staff of more than 80 individuals working directly on the FDLP, GPO administers the program on behalf of the participating libraries and the public. Information products from the Federal Government are available to these libraries nationwide, ensuring the American public has free access to the materials, in print and online. Libraries are today more than books. But “the books” remain the heart of learning and the joy of reading. Books are the tangible collection of ideas and experiences that continue to be what fills the back packs of students, and line the shelves of our homes; the constant physical reminders of knowledge just a page away. Locate a local Federal depository library in your area for free access to a wide range of U.S. Government books, periodicals, electronic resources, maps, and more. America’s “largest” resource for information and insights into our Federal Government and the services it provides to all Americans is bookstore.gpo.gov. 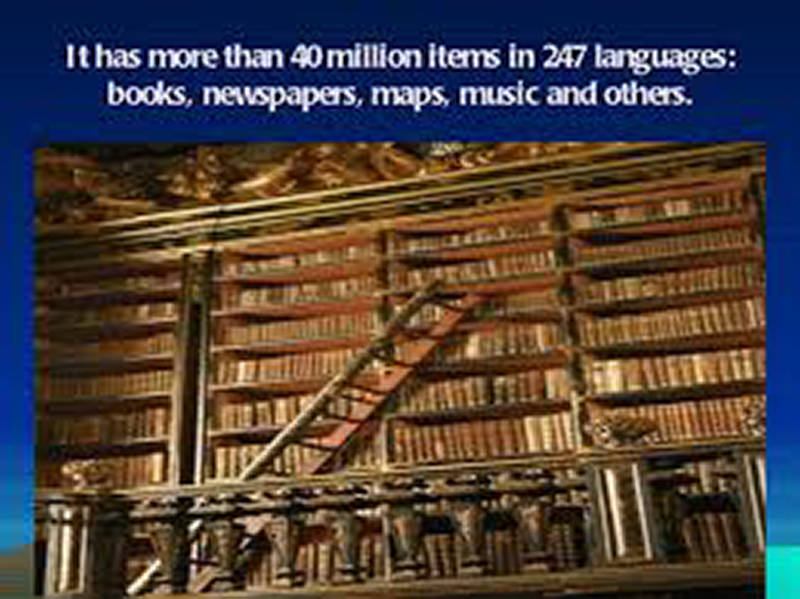 Over four thousand titles await you by simply going online and searching by topic or Federal agency. One of the U.S. Government’s most accessed publications, the World Factbook is prepared by the Central Intelligence Agency. The Factbook, produced for U.S. policymakers and coordinated throughout the U.S. Intelligence Community, presents the basic realities about the world in which we live. These facts are shared with the people of all nations in the belief that knowledge of the truth underpins the functioning of free societies. Global Trends revolves around a core argument about how the changing nature of power is increasing stress both within countries and between countries, and bearing on vexing transnational issues. The main section lays out the key trends, explores their implications, and offers up three scenarios to help readers imagine how different choices and developments could play out in very different ways over the next several decades. Two annexes lay out more detail. The first lays out five-year forecasts for each region of the world. The second provides more context on key global trends.